Two statues of musician Luke Kelly will be unveiled on either side of the River Liffey in Dublin on January 30 to mark the 35th anniversary of his death. A founding member of folk band The Dubliners, Kelly died aged 43 in 1984 and friends and family of the legendary singer have long campaigned to see one of Dublin’s most famous and beloved sons honoured with his own statue - now the powerful balladeer is getting two. Plans are also in an advanced stage within Dublin City Council to host a concert in Liberty Hall Dublin on the evening of January 30 to celebrate the unveiling of the two statues and to celebrate Luke’s contribution to the Dublin and Irish music scene. The first statue was created by one of Ireland's most prominent figurative sculptors, John Coll, who also created Dublin’s Patrick Kavanagh and Brendan Behan statues. Due to be unveiled at 2pm on January 30, 2019 Coll’s work is a life-size bronze, seated Luke Kelly singing and playing banjo and was donated to the city by the late Gerry Hunt and will be located on South King St. The second sculpture, a marble portrait head of Luke Kelly, created by award winning portrait artist Vera Klute, will be unveiled at 3.30pm on Royal Canal, Guild St/Sheriff St.
Klute’s piece, which was commissioned by Dublin City Council, is over two metres high and was unanimously selected as the winner of a limited competition established by the then Lord Mayor, Christy Burke in 2014. Organised by Dublin City Council, the official unveiling of both sculptures will be undertaken by President of Ireland Michael D Higgins, in the presence of the Lord Mayor of Dublin, Nial Ring, who said, "Luke’s presence is still felt on the streets of his birthplace Sheriff St and the pubs and haunts of the literati circles around Grafton St/Baggot St where he frequented. "This is a unique celebration for a very unique man. To this day he inspires Irish and international artists through his words, songs and activism. "It is only fitting that we celebrate the man, the music and his immeasurable impact on the Irish music scene and wider Irish culture." 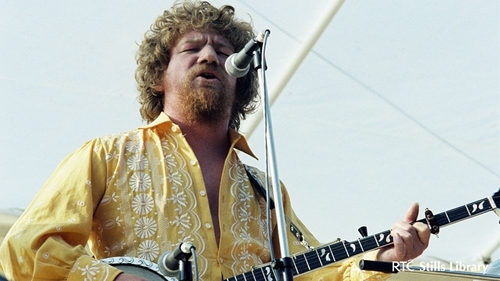 Family friend and author of Luke Kelly A Memoir, Des Geraghty said "The voice of Luke Kelly rang out loud and clear in the early 1960s to lift up the heart and soul of a dismal Dublin city. "He captured the latent spirit of the Irish people and gave new hope and inspiration to the poor and oppressed in many a distant land. Like Joe Hill, the great American Union organiser and folk singer, his voice and passion for justice and liberty will never die." Leagues O’Toole of Aiken Promotions has been appointed Director of the concert honouring Kelly. It will feature Irish singers and musicians whose lives have been influenced by the life and music of Kelly and the Dubliners. The full line-up and ticket sales information are due to be announced closer to the time.